Put chicken pieces in a deep pan. Add 1Â¼ liters water, chopped garlic, bayleaf, slit green chillies and bring it to a boil. 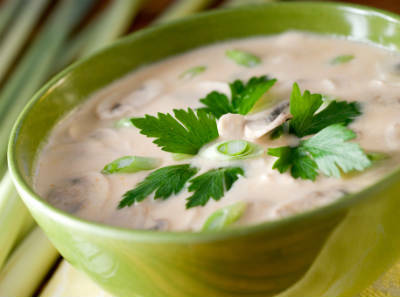 Feel free to comment or share your thoughts on this Chicken Soup Recipe from Awesome Cuisine.